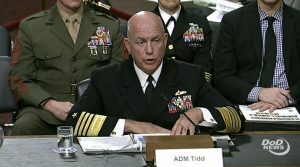 U.S. Southern Command (SOUTHCOM), which oversees most of Latin America and the Caribbean, has released its 2018 Posture Statement as its commander, Admiral Kurt W. Tidd, testified before the Senate Armed Forces Committee of the 115th U.S. Congress on 15 February. In this commentary, we will discuss some of the major points brought up by the Statement regarding maritime security issues in the Western Hemisphere. Past Posture Statements have, in very straightforward manners, declared that SOUTHCOM is the lowest priority of the Combatant Commands (COCOMs) (see the 2015 Posture Statement), thus it receives limited resources. Part of the reason for this situation is that most Latin American and Caribbean nations that fall under SOUTHCOM’s area of responsibility have close and cordial diplomatic relations with the U.S. Moreover, the countries that are at odds with Washington do not pose a traditional military threat to U.S. national security. In other words, since most governments have good relations with Washington, and the few countries that do not are not going attack the U.S. anytime soon (if ever at all), then there is little reason to assign significant numbers of assets and platforms to SOUTHCOM. Thus, the concern is that, regional allies may interpret this situation as Washington no longer being interested in supporting their own security problems, which include transnational challenges like drug trafficking. SOUTHCOM’s lack of naval platforms is an example of this situation and potential perception. It will be interesting to see if the Fiscal 2019 defense budget proposed by the Trump administration, which requests USD$686.1 billion, will trickle down to SOUTHCOM, though this seems unlikely given other U.S. military operations elsewhere on the globe. Nevertheless, a 12 December, 2017 story in the Navy Times reports that SOUTHCOM will receive “Littoral Combat Ship and Spearhead-class expeditionary fast transport vessels,” which will be of great help for counter-narcotics and assistance operations. SOUTHCOM’s naval component, U.S. Naval Forces Southern Command/Fourth Fleet, relies on platforms that are temporarily assigned. For example, aircraft carrier USS George Washington (CVN-73) participated in the 2015 UNITAS exercises, while USS Somerset (LPD 25), USS Chafee (DDG 90) and USCGC Escanaba (WMEC 907) participated in 2017 UNITAS. SOUTHCOM does occasionally get assigned surface platforms, especially Oliver Hazard Perry-class frigates prior to their decommissioning, which are deployed to patrol Caribbean waters to combat maritime crimes, particularly drug trafficking, as well as the hospital ship USNS Comfort. With that said, the U.S. Coast Guard (USCG) is arguably the cornerstone enabler of SOUTHCOM maritime operations, particularly as employed by Joint Inter Agency Task Force South (JIATF-S) in the Greater Caribbean region. 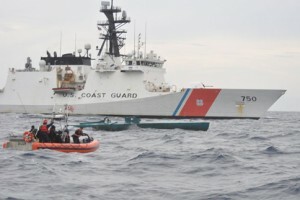 Indeed, there is a regular stream of reports about drug smuggling vessels being successfully interdicted by USCG platforms, like USCGC Tahoma (WMEC 908), which successfully interdicted over 1,800 kilograms of cocaine during a two-month tour in 2017. USCG platforms have also carried out humanitarian assistance in the Caribbean region, including, interestingly, in Nicaragua – via USCGC Northland (WMEC-904) in early 2018. Admiral Tidd’s support for the LCS program is not surprising since, as previously mentioned, a number of them will hopefully be deployed to SOUTHCOM this year to help combat maritime crimes. The US Navy has reportedly decided not to re-activate its Perry-class frigates to support SOUTHCOM operations, thus all eyes are on the LCS and the Spearhead-class vessels for these operations. As previously mentioned, USNS Comfort (T-AH-20) has participated in several HA/DR operations in the Western Hemisphere in recent years. As the author explains in a 16 January commentary for CIMSEC, “Comfort was deployed to Puerto Rico to assist those in need after Hurricane Maria hit the island. The vessel also traveled to Haiti after the 2010 earthquake to assist with the relief and support efforts as part of Operation Unified Response.” The platform has also operated in initiatives like Partnership for the Americas and Operation Continuing Promise. It could be argued that Comfort should be permanently assigned to Fourth Fleet so that it could be deployed more regularly to the region, but logistics, the ship’s age, and the fact that there is only one other hospital ship in the fleet, USNS Mercy (T-AH-19), make this highly unlikely. It is worth noting that after Hurricane Matthew hit Haiti in 2016, Comfort was not deployed to the Caribbean island, but rather USS Iwo Jima (LHD-7) and USS Mesa Verde (LPD-19), which provided humanitarian relief. Given recurring natural disasters, the general lack of inter-state warfare (maritime or not) in the region, and not being able to deploy the Comfort with much regularity, it makes sense that future multinational naval exercises, such as UNITAS, focus on disaster response so that regional countries can also provide relief services quickly when the next disaster occurs. 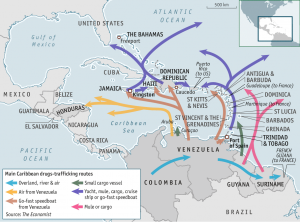 China and Russia’s presence in Latin American and Caribbean waters is quite limited. 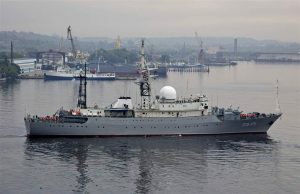 The most significant deployment, in terms of numbers, occurred in 2008, when a small Russian fleet traveled to Caribbean waters to carry out military exercises with Venezuela – some of the vessels included “nuclear-powered Peter the Great cruiser and anti-submarine warship Admiral Chebanenko.” Nevertheless there have been some recent incidents, like in 2017, when intelligence ship Viktor Leonov docked in Havana, Cuba, and also traversed international waters off the East Coast of the U.S. Meanwhile, China is known in the region for the 2011 and 2015 deployment of its hospital ship Peace Ark (866 Daishan Dao), a Type 920 hospital vessel. There have also been sporadic visits of Chinese warships to the region, like the 2013 visit to Argentina, Brazil and Chile of destroyer Lanzhou, frigate Liuzhou and supply ship Boyanghu. It is conceivable that, in a more challenging scenario, Chinese warships could be invited by Latin American and Caribbean states to participate in naval exercises in the region, particularly as most of them have diplomatic relations with the People’s Republic of China, not the Republic of China (ROC/Taiwan). The Posture Statement’s reference to the Panama Canal is likely tied to the fact that the government of Panama switched from having relations with Taiwan to China in 2017. Over the past year, U.S. platforms, whether from the Navy or Coast Guard, have successfully interdicted several vessels in Caribbean waters carrying narcotics. Additionally, U.S. allies in Central America and the Caribbean are modernizing and expanding their naval forces. Fortunately, they have also enjoyed successes, for example the naval force of El Salvador’s seizure of over 700kg of cocaine aboard a suspicious vessel in January 2018. Certainly, and tragically, these accomplishments are only slowing down the flow of drugs from south to north, as production continues in the former and there is still a market for drugs in the latter. 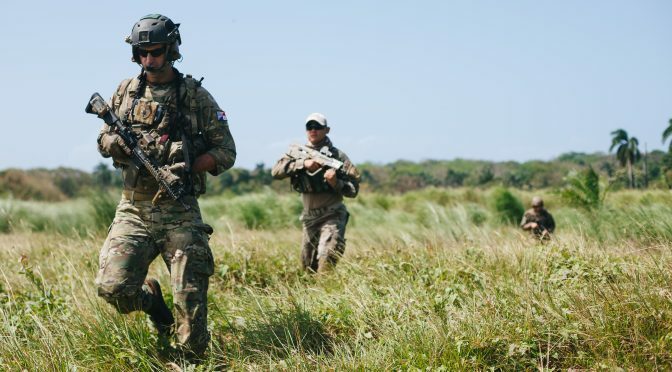 The successes of SOUTHCOM and its regional allies against drug trafficking must go hand-in-hand with more comprehensive strategies to address this problem. In spite of being the lowest priority COCOM, SOUTHCOM has achieved various successes in maritime security in recent years, including a plethora of successful interdictions of suspicious vessels that were transporting contraband, particularly drugs. Humanitarian missions via USNS Comfort and other vessels are also a great achievement toward strengthening relations with regional states and exercising soft power. SOUTHCOM’s 2018 Posture Statement demonstrates that while the U.S. continues to enjoy a network of allies in the Western Hemisphere, there are plenty of clear and present dangers and concerns that warrant greater support from Washington for this region. W. Alejandro Sanchez is a researcher who focuses on geopolitical, military, and cyber security issues in the Western Hemisphere. Follow him on Twitter: @W_Alex_Sanchez. Capitol Hill is integral to the continued success of U.S. naval forces. Yet most people outside the Washington, D.C. area have experienced the intricacies of how that institution goes about resourcing the military. Katie Burkhart, a former Navy Surface Warfare Officer who now works in the office of Senator John Thune (R-SD). During the discussion we examine the role of the Hill in the National Defense Authorization Act (NDAA), the effect of the legislative process on defense policy, and the contributions of veterans on the Hill in guiding that policy. 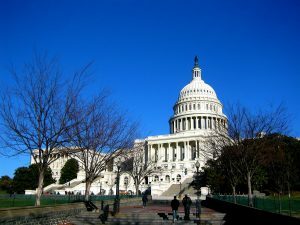 For those interested in further resources: you can track the status of legislation, including the NDAA and defense appropriations bills, on www.Congress.gov. To continue learning about the legislative process, start with the Congressional Research Service (CRS) report “Introduction to the Legislative Process in the U.S. Congress” (link: https://www.fas.org/sgp/crs/misc/R42843.pdf). 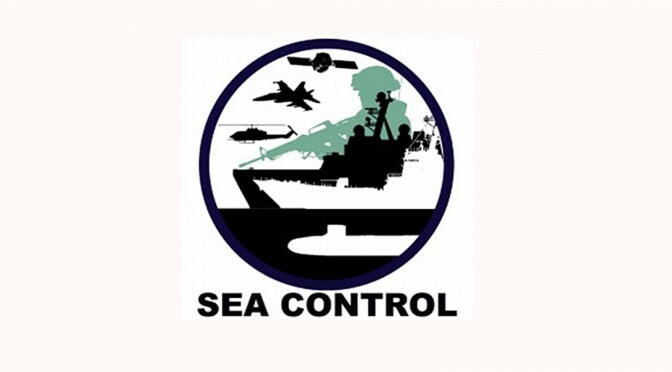 This episode of Sea Control: North America was hosted and produced by Matthew Merighi, Executive Director of Blue Water Metrics and a researcher for the Maritime Studies Program at the Fletcher School of Law and Diplomacy. The views express on the podcast do not reflect those of the United States Government, the office of Senator John Thune, or those of the United States Navy.